The Reverend Harley C.W. Tretow, age 91, of Oshkosh, WI, passed away the morning of Friday, March 15, 2019, at Evergreen Retirement Community in Oshkosh. Harley was born February 4, 1928, in Milwaukee, WI, the son of Harry and Amanda (Kosbab) Tretow. He was inducted into the United States Army Air Corps upon graduation from high school and served three years in Puerto Rico. He was a graduate of Elmhurst College in Elmhurst, IL and Eden Theological Seminary in Webster Groves, MO. Pastor Tretow served churches in Belvidere, IL and Dale, WI and was a pastor at Our Saviour’s United Church of Christ in Ripon for thirty years. Pastor Tretow enjoyed working with the youth in the congregation and was diligent in making pastoral calls on members of the congregation. In retirement, the Tretows enjoyed the home they built in Berlin. After 20 years, they really retired to Evergreen in Oshkosh. Survivors include his wife of 66 years, Shirley Tretow of Oshkosh, WI; daughter Elizabeth Ann (Phil) LaGro of Williams, AZ; son, H. Charles W. (Layne) Tretow of Deale, MD; two grandchildren, Amanda (Michael) McClure; James Cunningham; great-granddaughter, Anastasia McClure and four nieces. He was preceded in death by his parents and his brother, Armin E. (Toni) Tretow. 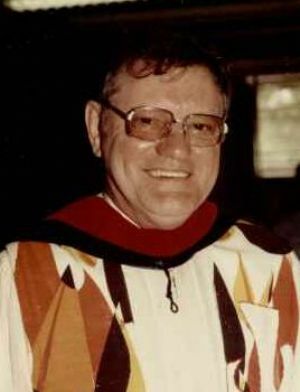 Visitation for The Reverend Harley C. W. Tretow will be held on Friday, March 22, 2019, from 9:30 – 11:00 am at Our Saviour’s United Church of Christ, 343 Scott St., Ripon, WI 54971. Funeral Service for The Reverend Harley C.W. Tretow will be held on Friday, March 22, 2019, at 11:00 am at Our Saviour’s United Church of Christ in Ripon with Reverend Dr. Kevin P. Mundell, Reverend Stephen J. Davidson and Father Michael Bober officiating. Interment will follow at Woodlawn Cemetery in Ripon with a Final Salute with Military Funeral Honors. Memorials may be directed to Riverside High School Academy, 1615 E. Locust St., Milwaukee, WI 53211; Lakeland University, W3718 South Dr., Plymouth, WI 53073 or Eden Theological Seminary, 475 E. Lockwood Ave., St. Louis, MO 63119.